DISCLOSURE: I received free books from Parragon as part of the Book Buddies Program, in exchange for my honest review. All opinions are my own. We returned from a week-long trip to Disney World a little over a week ago. 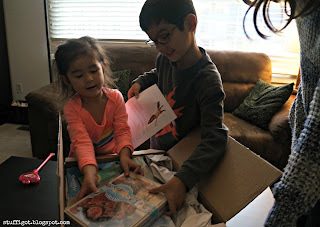 The whole family loves everything Disney and so we were pretty happy with our November box from the Parragon Book Buddies Program. 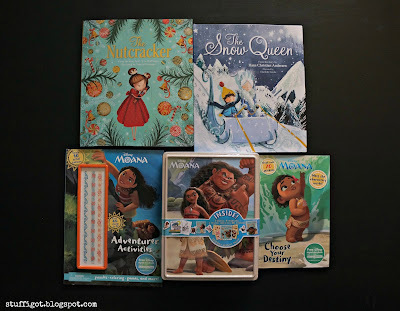 Our box featured three Moana books as well as a couple holiday-themed books! Excited to see what's in the box! With Moana opening in the theaters on Wednesday, the kids were excited to check out the Moana books first. 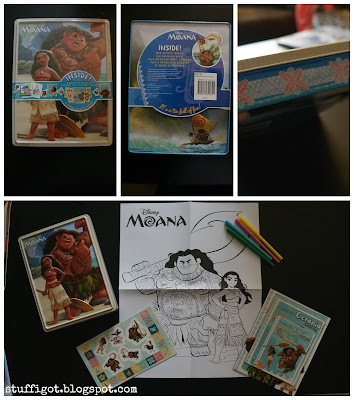 This is a cute little book that includes an introduction to the main characters of the movie and activities about each character, as well as 70 stickers. 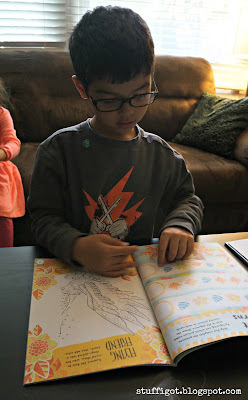 My 6-year-old liked doing the activities in the book, while my three-year-old enjoyed all the stickers. 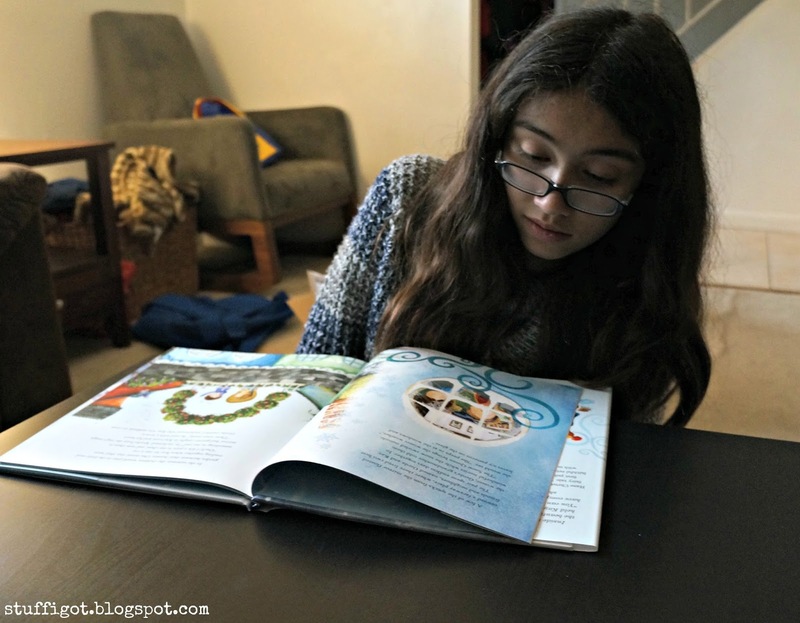 My oldest liked reading about all the characters. The book also includes a code for a free Disney digital storybook that you can redeem through the Disney Story Central app. This book was my 6-year-old son's favorite. 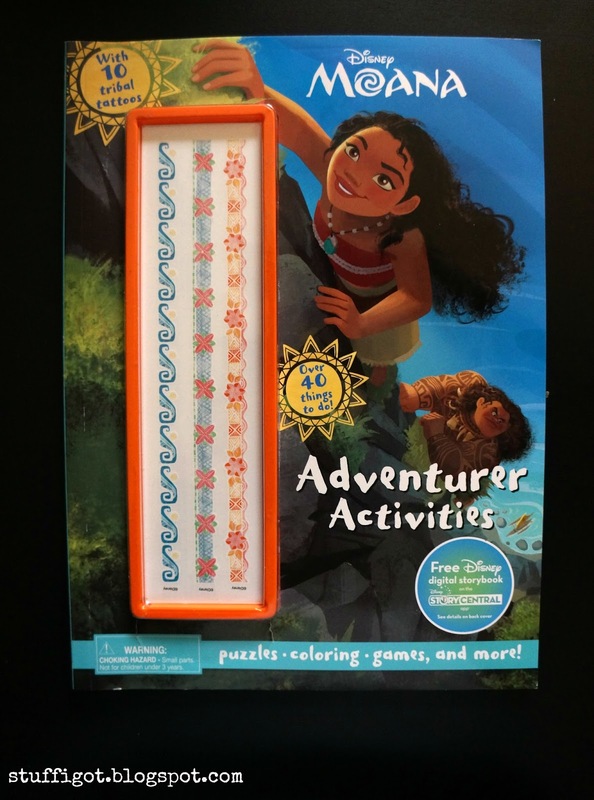 It's full of fun activities like puzzles, drawing, dot-to-dots and more! 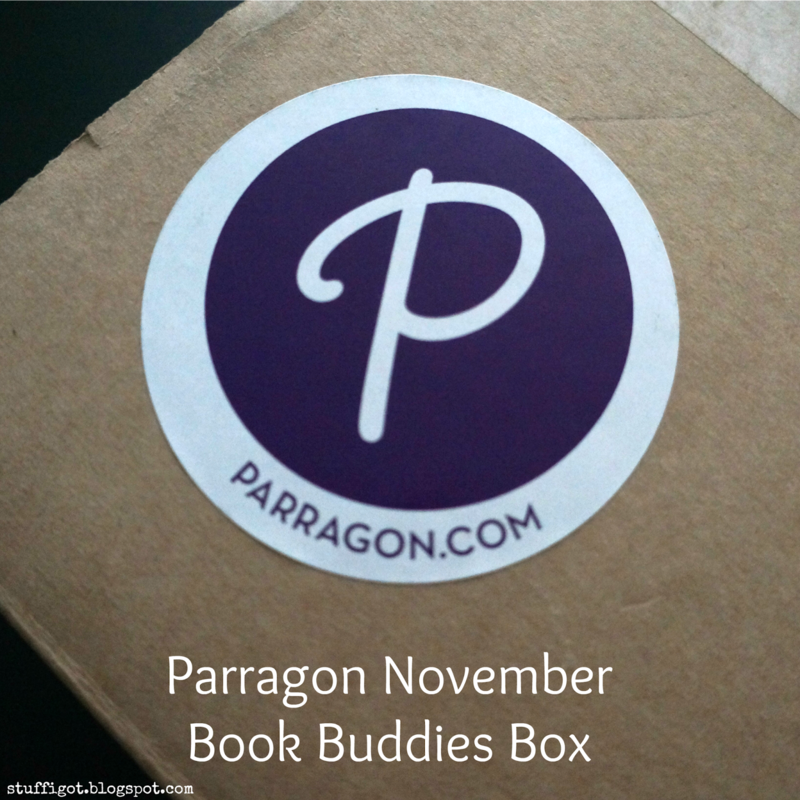 Plus, the book includes 10 tribal temporary tattoos. 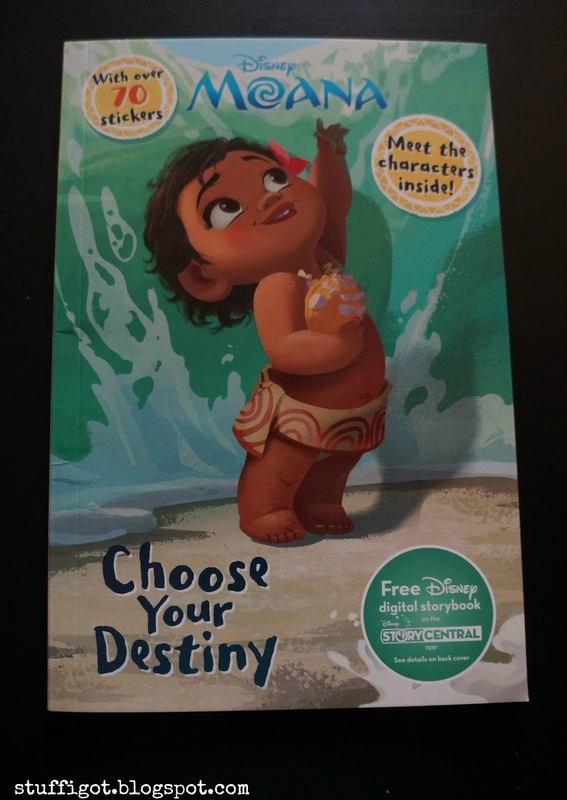 The book also includes a code for a free Disney digital storybook that can be redeemed through the Disney Story Central app. 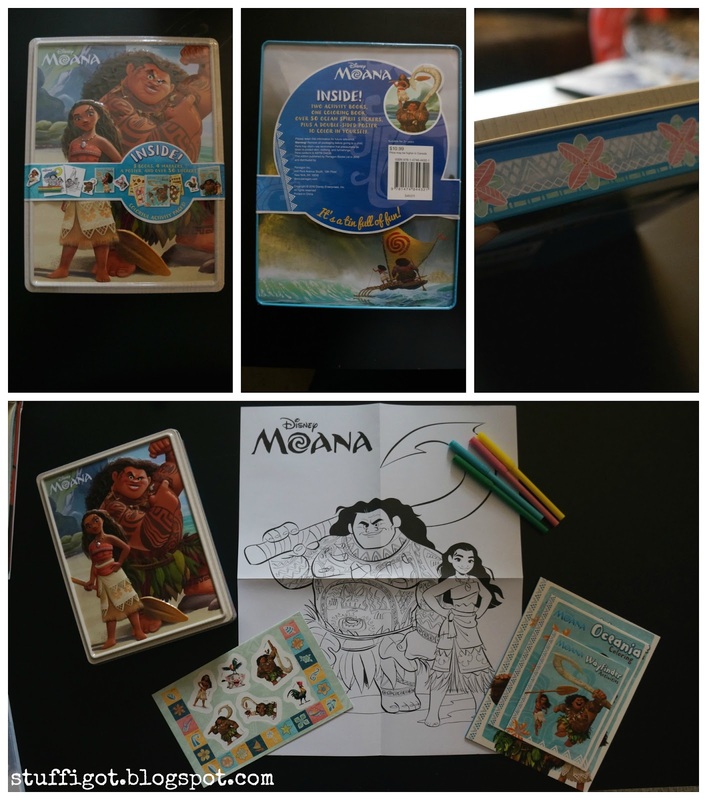 This was a really nice tin that contained a storybook, coloring book and activity book, stickers, a double-sided poster to color and four markers. The activity books were fun, though, it would have been nicer if they were a little bigger. 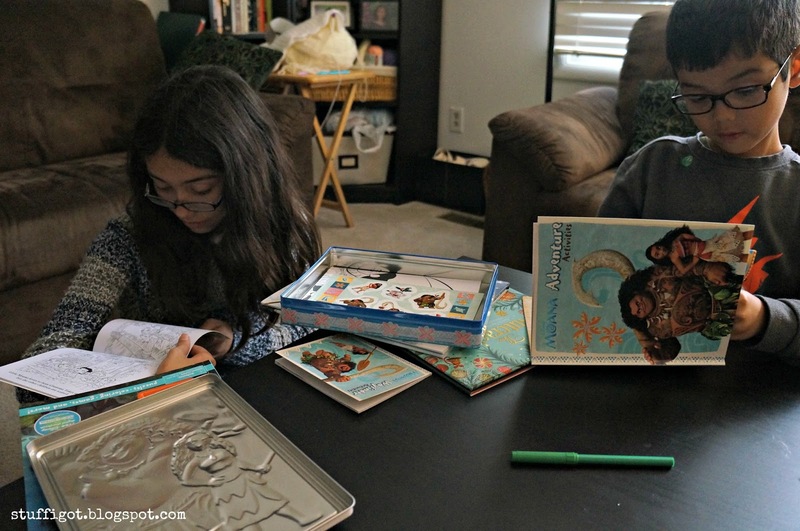 It was harder for my 6-year-old to do the activities, especially with the smallest book. 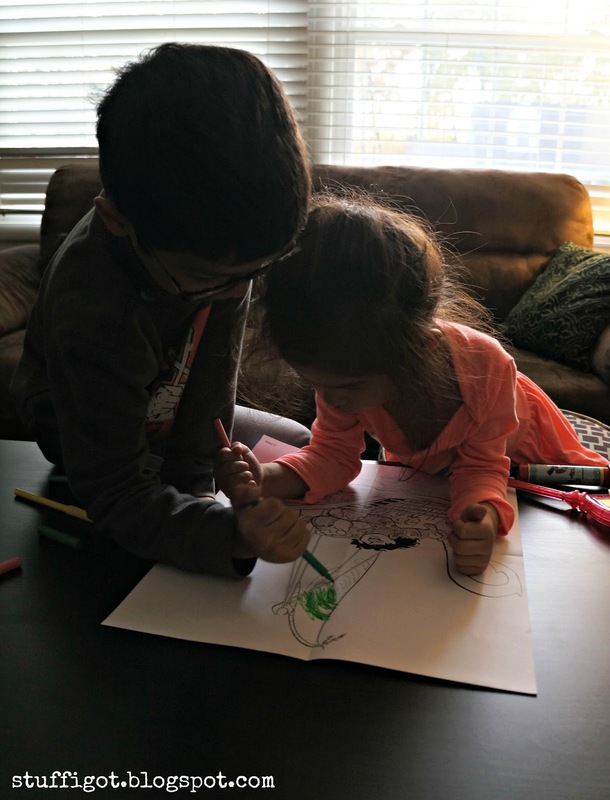 They did enjoy coloring the poster, though. My kids love Disney's Frozen and so I told them this is the book that Frozen was very loosely based on. 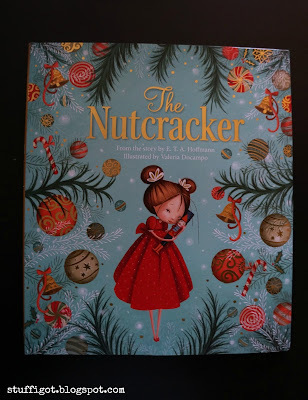 My 12-year-old daughter started reading it right away to see how different it was. She remarked how it wasn't like Frozen at all. 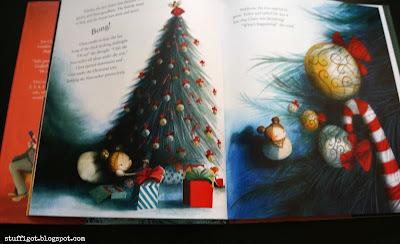 But, the book is nicely illustrated and makes for a good bedtime story for the kids. This is a classic Christmas story and I was surprised we didn't already have a version of this. The book has lovely illustrations and would be great to read with the kids this Christmas season. These would all make great gifts for Christmas!